Board members in attendance: Richard Meaux, David Meaux, Harvey Kieffer, Dr. Joe Bruce, George “Shorty” Crain, Paul Stone, and George Giltner. 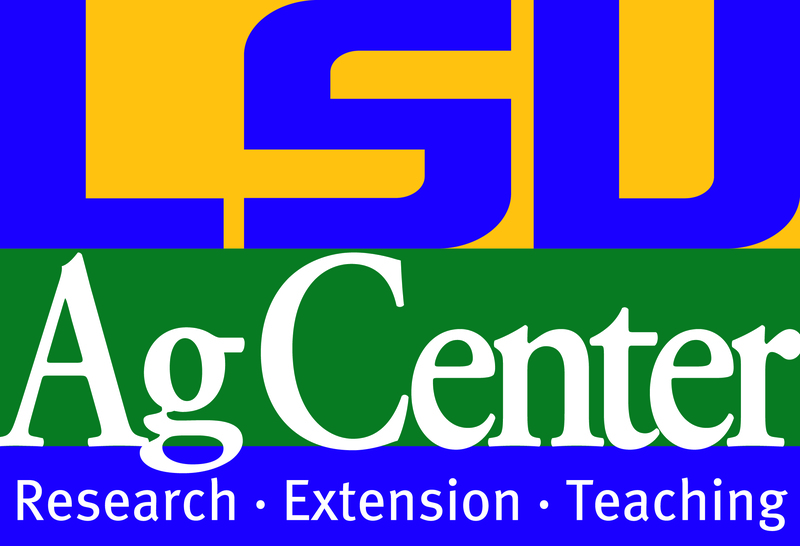 Keith Hawkins, Chair of LSU AgCenter (Beauregard) Extension Service was absent due to an out of state Service Conference/Award Presentation. Dr. Joe Bruce moved to approve minutes after their review. It was seconded by David Meaux. The board offered “Get Well” wishes to our secretary, Bobbie Giltner, who has recently had a bad fall and health issues. She was missed by all, and the consensus of a speedy recovery was passed. The Treasurer’s report was presented by George “Shorty” Crain. He reported a single withdraw $250 for Keith Hawkin’s Conference Trip) since the last report. Harvey Kieffer requested a dated Financial Report on paper for board members. President Richard Meaux wanted the Financial Report to be separated from Keith’s Budget portion in our bank account for clarity. New Business: 1) The board set a date of March 8, 2014 for the SWLAFA Annual Meeting in the DeRidder Exhibition Hall. An alternate date of March 15, 2014 was selected in case of conflicting scheduling with the Exhibition Hall. Keith Hawkins was to make reservations for this event. d) Local Forest Product Industries (Location, names, and end products that are made from our timber). 3) Tax Exempt Status for the SWLAFA. Bobbie Giltner is to look through the Secretarial Files to locate documented paperwork and a number for Tax exemption for our organization. She is to contact David Meaux, davidcmeaux@rankwildcat.com or (337) 257-3385 of her search. If this information is not found, then he will begin a new tax exempt process through the IRS. 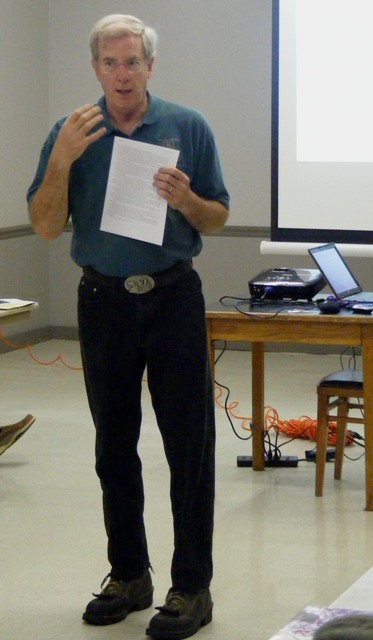 4) SWLAFA Bylaws – David Meaux will rewrite and update our bylaws with a dual old/new format for the Board’s review. He will email this document to board members before the next meeting (Nov. 6). Adjournment was moved by Richard Meaux, and seconded by Harvey Kieffer. Ouch! Most of us in forested areas have come in contact with these little tuffed (tussocks) hair caterpillars with short, bristly, toxic pincushion hairs on their backs. These stinging hairs cause a very irritating rash especially on the inner arms, neck, and stomach areas. Where do they come from? Look no further than trees and brush as these caterpillars feed on a large variety of leaves including oak, pecan, hickory, walnut, willow, rose, maple, pear, and many others, including conifers. The population densities cycle from year to year with very high numbers one year, then possibly no reports the next year. They can cause economic loses of newly planted trees (1-3 years old) when complete defoliation occurs. Healthy developed trees usually recover even when they are completely defoliated. A positive ID is made by observing the orange head, tuffs on the back, and red dots on the hind abdominal segments that are in line with a dorsal black stripe. Also look for the brown, paint bush tail hairs. The white-marked tussock moth is related to the gypsy moth, family Lymantriidae, which also has the tussock stinging hairs on the larvae. To control the young caterpillars (less than ¾ inches) use Bt products like Dipel or Thuricide. For the larger caterpillar that can reach 1.25 inches, use pyrethroids (synthetics), pyrethrums (natural), or spinosad products. Birds are voracious feeders on the large caterpillars. The caterpillars first appear in early April after overwintering in the egg stage. Then they go through several enlargement stages during 35 days to pupation. The gray cocoons with silk threads may be noticed in the bark of host plants. The adults emerge in about 2 weeks, mate, and then die. The males are born with well-developed wings, but the females are forced to stay local with undeveloped wings. Three generations per year are normal for the white-tussock moth, Orgyia leucostigma. 10. Sponsors of the Tree Farm Program and the Louisiana Loggers Council. 9. 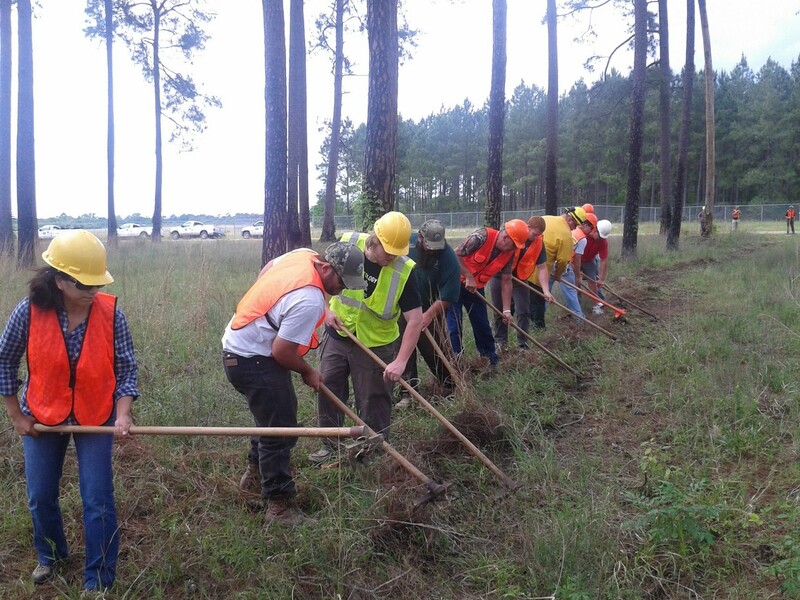 Providers of seminars and conferences to improve your knowledge of forestry. 8. Your voice before state and federal lawmakers. 7. Defenders against excess regulation. 6. Source for information to get the most from your forest investment. 5. Leaders in developing and training in Best Management Practices which protect water quality. 4. Promoters of Sustainable Forest management. 3. Supporters of fair competition for your forest products at home and abroad. 2. Promoters of fair taxation for your forestry investments. 1. Defenders of your Right to Practice Forestry. The LFA has more information at www.laforestry.com about joining. This webpage will provide inforamtion about membership fees and a downloadable form. For more information, call the LFA at (318) 443-2558 or Keith Hawkins, LSU AgCenter, 337-463-7006.